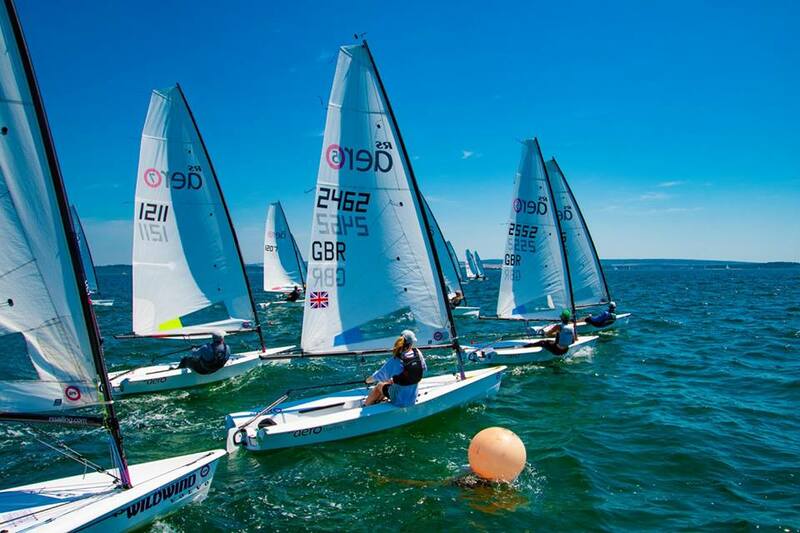 Once again this year, the Lymington Dinghy Regatta featured an RS Aero class start, 26 boats including one from the Netherlands entered for a fun-packed weekend. 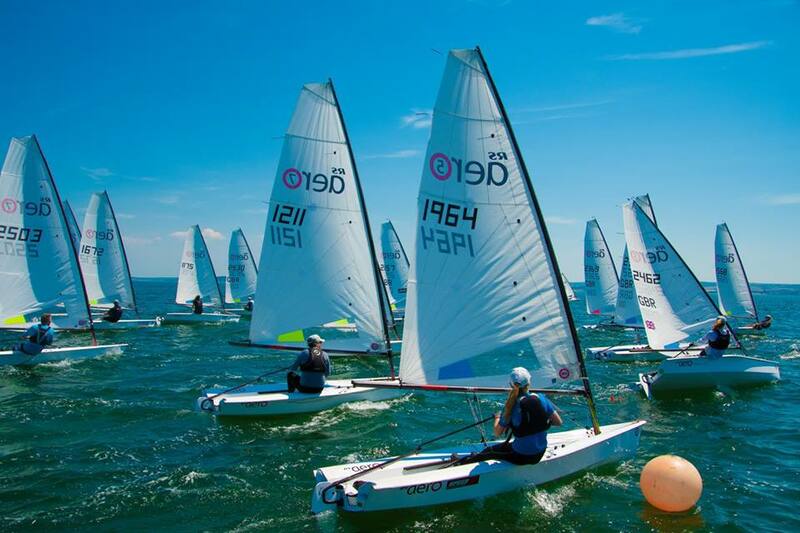 The forecast for the weekend initially did not look great, but local knowledge predicted a sea breeze which duly came in and the fleets were greeted with a 10-14 knot wind, creating tight racing throughout the field. 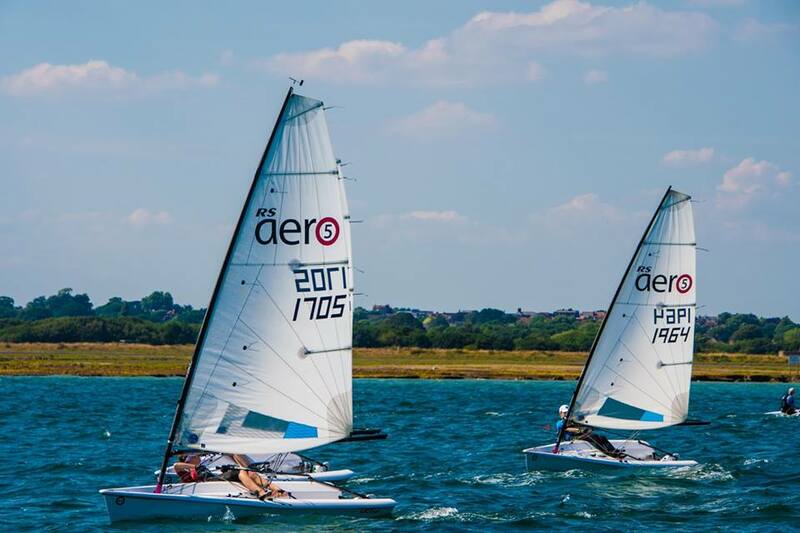 100 boats entered the Regatta and the fleet was split into two courses, one east and one west of the Lymington River entrance, with the RS Aero’s on the west course. The plan was for 6 races split over the two days with all of the Aero’s racing together under handicap, making it interesting but tricky for the 5s starting on the same line as the 7s and the 9s. We launched at about 12:00 on the Saturday, just after low tide, which made life easier because the tide did not change direction during the day. The 10-14 knot wind stirred up by the sea breeze made racing physically demanding, with flat boats being a key factor in your upwind boat speed, as we sailed through the small chop churned up by the wind. The wind remained reasonably consistent building slightly right at the end of the day. Due to the low wind forecast for the next day, the race committee decided to get in four races rather than three to give us a buffer. The tide was consistently the major factor in tactics around the course, and it was a challenge every lap to pick your windward mark laylines with the changing tidal conditions. Peter Barton (Lymington Town SC) mastered this winning three of the four races on handicap in his 9 rig, followed closely by Noah Rees (Torpoint Mosquito SC) and Tim Hire (Royal Lymington YC) in 7s and Sammy Isaacs-Johnson (Maidenhead SC) in his 5. There were battles in each of the fleets, especially in the 7s and 5s who always had close racing. Importantly, the race team made a fine job of quick turnarounds between races ensiring the fleet were back ashore in time to watch England win the football! Sunday brought a change in conditions, with the Solent being almost a mill pond. Racing was postponed as we waited for the predicted arrival of the sea breezed which had produced such great sailing the day before. Finally, after a couple of hours of postponement, we were on the water and the sea breeze came back, albeit less than the day before. The lighter winds added another dynamic to the racing for the final two races of the weekend. Tim Hire won the two races, however was unable to catch up the overnight leaders Peter Barton or Noah Rees who finished first and second respectively. pastingFinally, at the end of a sun-filled weekend, the wind picked back up for a fast reach back up Lymington River, before all the competitors collected their delicious jam doughnuts and tea as they signed back in. Thanks must go to the sponsors Harken who provided the prizes for the whole of the event, but even more so to Heather Chipperfield and Luke McEwen who were responsible for organising the whole event and Vicky and Alastair who were the sailing managers of each of the two clubs. Next up for the UK RS Aero calendar is West Kirby in the north west on 14/15th July and Eastbourne on the south coast on Saturday 21st July. 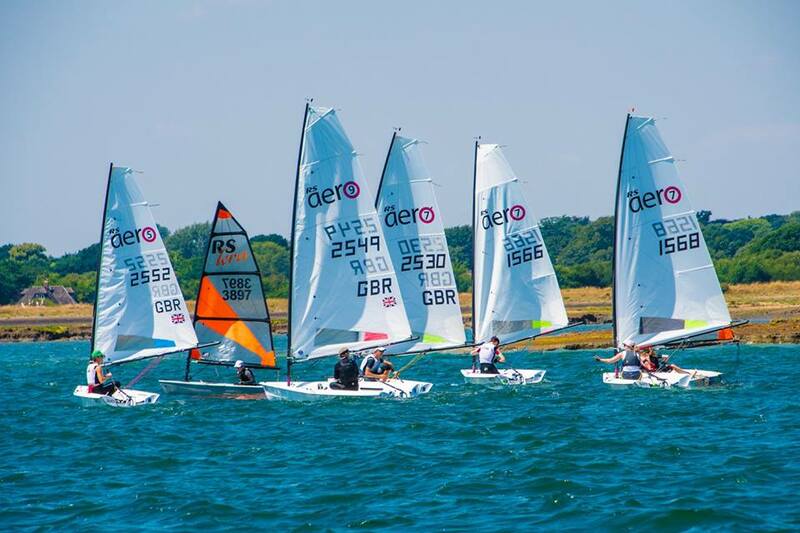 These are the last two events in the UK before the RS Aero World Championships in Weymouth in August and with 203 RS Aeros now entered from 16 nations it is set to be a mammoth Championship to kick off the RS Anniversary Games alongside the RS Tera Worlds. 6 races, 1 discard. PY scoring.